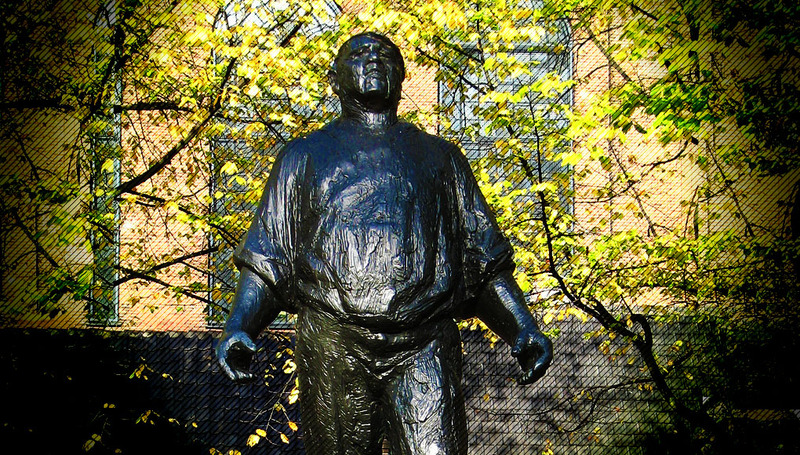 The image at the head of part two is of the Dockworker Monument in Amsterdam, a memorial to the Dutch general strike on February 1941 – the first public and only mass Gentile protest against the deportation of the Israelites in Nazi-occupied Europe. The Dockworker Monument is doubly appropriate: it is located in the heart of the Jewish Quarter, razed to the ground after the war and now only a memory, and it expresses the Dutch people’s helpless indignation, now transformed into a lasting trauma. What is commonly known as the ‘Jewish people’ represents the oldest surviving historical people on Earth, but in the Holy Scriptures of the three Abrahamic religions this people is more correctly described as the ‘Children of Israel’ (Hebrew Bnei Yisra’el, Arabic Banī ’Isrā’īl). The term ‘Israel’1 is the consecration name of the Biblical patriarch Jacob, who became the ancestor of the twelve ‘Tribes of Israel’. The Children of Israel are bound by the covenants of their ancestors, including the Abrahamic Covenant and the Mosaic Covenant; they are the Bnei Brit, the ‘Sons of the Covenant’. One of these tribes was the Tribe of Juda, explaining the origin of the English ethnonym ‘Jewish’. Because not all of the ‘Jews’ alive today belong to the Tribe of Juda, they are more correctly known as ‘Israelites’: the name of the modern nation-state of Israel is to be preferred to the term ‘Jewish State’. It is important to distinguish between an ‘Israelite’ from an ‘Israeli’: whereas the former indicates a direct or a formally adopted (converted, assimilated) descendant of Jacob, the latter indicates a citizen of the modern State of Israel. Most Israelis are also Israelites, but the two terms are far from synonymous: many descendants of the Arab and Druze peoples that lived in the British mandate territory of Palestine have Israeli citizenship, without having been converted to or assimilated into the ‘Jewish people’. The Western Tradition may have been strongly influenced by the Jewish Tradition, but it also differs from it in essence, in terms of philosophical dynamics, ethical direction as well as psycho-historical experience. Scientific research has unearthed various non-Israelite references to the historical Israelite presence in the Near East, some of them dating back to the Late Bronze Age. Most famous of these are the New Egyptian Merneptah Stele (13th century B.C. ), the New Assyrian Kurkh Monolith of Shalmaneser III (9th century B.C.) and the royal Moabite Mesha Stele (9th century B.C.). This makes the history of the Israelites the oldest continuously attested national history on Earth. Through the Bible, the foundational document of Western Christianity, the transmission and interpretation of this history also provides the oldest continuous ‘narrative’ thread of Western civilization, leading back across its historical dawn into pre-Classical times. The religiously privileged transmission and interpretation of the Israelite historical narrative have created a decisive imprint on the Indo-European/Christian world of Western civilization as well as the Semitic/Islamic world of Middle Eastern civilization. Both the Christian Holy Bible (which incorporates Israelite scripture as the ‘Old Testament’) and the Islamic Holy Recitation (which effectively constitutes an ‘update’ on the Biblical Tradition) are strongly focussed on the remembrance and (re-)interpretation of the Israelite historical narrative and the Israelite religious covenant. The historical origin and formal structure of the Christian and Islamic Traditions are effectively incomprehensible without substantial insight into their Israelite cultic, cultural and linguistic Vorlage, or ‘template’. This Israelite background must be considered as vitally important in shaping contemporary Western as well as Middle-Eastern civilization, especially in terms of religion and ethics: the religious and ethical expressions of both civilizations are significantly shaped by the Israelite ‘archetypes’ that precede them. 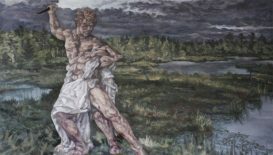 It should be emphatically stated, however, that this does not in any way justify the politically correct and intellectually fashionable identification of Western civilization with any ‘Judeo-Christian tradition’: the Western Tradition may have been strongly influenced by the Jewish Tradition, but it also differs from it in essence, in terms of philosophical dynamics, ethical direction as well as psycho-historical experience. The ‘Two Thousand Years Together’2 of the European and Israelite peoples that followed the destruction of the Second Temple in 70 AD (the ‘Diaspora’ – Hebrew Galūt) confirms this existential difference: despite having a shared historical epoch, a shared geographic space and some biological ‘cross-fertilization’, both sides have essentially retained distinctly separate identities. No self-aware Israelite will view himself as a Gentile and no self-aware Gentile will view himself as an Israelite; in those few individual cases where natural and human-made calamities creates confusion, a mutual consensus on the boundary line between the two ‘sides’ is quickly found. On the Israelite side, the Orthodox Rabbis serve as the guardians of a boundary line that has been historically considered desirable on both sides: they guard the doubly physico-spatial and psychologico-spiritual borders of the Israelite nation with clearly defined rules for ‘liminal’ cases.3 They are charged with the responsibility of handling ‘borderline cases’ such as mamzerim, hitsonim and gerim – legal concepts that are mostly translated in a rather simplistic fashion as ‘bastards’, ‘apostates’ and ‘converts’. They decide who is ‘in’ and who is ‘out’; they also set the minimum rules for ‘belonging’ to the Israelite nation. Thus, the easiest way for non-Israelites to determine who is an Israelite is to obtain a minimal insight into the Israelite Law, as defined and maintained by the Orthodox Rabbis. Essentially, this means that only those individuals can be defined as Israelites, or ‘Jewish’, who are either born from a Jewish woman, recognized as such (i.e. registered as a community member or traceable to that community in the female line), or who have passed the giyur procedure outlined for ‘converts’ as defined by the Orthodox Rabbis. The Orthodox Rabbis have effectively supplemented their standard explicitly positive definition of the Israelite nation with an extra implicitly negative definition: members of the Israelite nation that are recognized as such by the Orthodox Rabbis can still be ‘rejected’ whenever and wherever they convert to another religion or fall into doctrinal heresy. Such apostates are ritually and socially rejected (ritually as min, or ‘heretic’, and socially as meshumad, or ‘destroyed’); they are formally and informally expelled (formally through a herem, or ‘anathema’, and informally through various forms of shunning). Examples of controversial figures that were subjected to formal expulsion include Baruch Spinoza, Shabbatai Zvi and Leon Trotsky. An instructive glimpse of the process of informal expulsion may be found in the famous musical/movie ‘Fiddler on the Roof’ (episode ‘Chavaleh’). A contemporary legal reflection of this negative definition may be found in the ‘Law of Return’ of the modern Jewish State: its 1970 amendment (Article 2, Section 4a) explicitly states that the standard right of Israelites to Israeli citizenship does not apply to those Israelites that have converted to another religion.6 In such cases, the negative definition takes precedence over the positive definition of Israelite ethnicity. Thus, the secular law of the modern Jewish State effectively adopts the canonical law of old Christian Europe, which equates Israelite converts to Christianity with those who are born into the Christian faith. In its narrow sense, the ‘Jewish Question’ only truly arises in the wake of Europe’s 18th century Enlightenment, which finds its Israelite equivalent in the Jewish Haskalah. The interrelated 18th-century and early-19th-century phenomena of spreading secularism, separation of church and state and nation-state formation gave rise to intellectual and ideological attempts at a purely materialist-functional (judicial, liberal) and purely materialist-determinist (biological, racial) definitions of the concept of ‘nation’. All of these attempts are finally shipwrecked on the rocky ‘Jewish Question’. As the mutual beneficial ‘armistice lines’ maintained by rabbinical and ecclesiastical authorities are gradually erased, historically materialist thinkers and authorities are faced with the impossible task of reducing traditionalist categories to modernist law. The failure of civic nationalist ‘assimilation’ (roughly the time span covered by the lives of Heinrich Heine and Gustav Mahler) is followed by the failure of racially nationalist ‘segregation’ (roughly the time span covered by the lives of Theodor Herzl and David Ben-Gurion). The end phase of the Thirty Year European Civil War, a.k.a. the ‘Second World War’, and the monumental horror of the Jewish ‘Holocaust’ mark the final failure of both experiments. Individual assimilation successes and local segregation successes aside, by 1945 the ‘Jewish Question’ reached an Endlösung, or ‘Final Solution’, that had two dramatic features: (1) the destruction of Traditional Judaism and a substantial Jewish ethnic presence in Europe and (2) the foundation of Israel as a modern Jewish State in the Middle East. From a culturo-historical perspective, these twin results represent a ‘knock out’ victory of modernist ‘deconstruction’ over traditionalist authenticity: the authentic Jewish Tradition – an ethnically distinct nation living according to a transcendentally defined covenant – loses its physical substance in Europe, a loss that has to be compensated through an artificially territorialized nation-state in the Middle East. But the course of history cannot be reversed: its geopolitical consequences must be dealt with in a realistic fashion. The very real existence and the entirely legitimate security concerns of the modern state of Israel are key elements in contemporary global geopolitics, but these elements only partially overlap with the continued existence of the Jewish Tradition. Since the foundation of the modern Jewish State, its politics are characterized by a ferocious and unequal struggle between the hilonim, the ‘mundane’ that pursue secular ‘values’ and economic ‘prosperity’ on the Western model, and the datim, the ‘religious’ that cling to the remnants of the Jewish Tradition. Outside of Israel, the scattered Diaspora remains of the Jewish Tradition – primarily concentrated in the United States of America – are existentially threatened by the same deluge of ‘secularization’ and ‘mixed marriages’ that is wiping out the Christian Tradition throughout the Western world. ‘Jewish’ communities throughout the Western world are now subject to the same immense centrifugal forces of sectarianism (‘liberal Judaism’), acculturation (‘cultural Judaism’) and oikophobia (‘experimental Judaism’) by which the Christian Tradition and the Western peoples are being ‘deconstructed’. The collective (the nation) – never the ‘secular’, ‘progressive’ and ‘liberated’ individual of the ‘post-historical’ West – is held to be morally ‘liable’, historically ‘tainted’ and metaphysically ‘guilty’. Noblesse oblige. Or, as another Israelite stated it 2000 years ago: No man can serve two masters: for either he will hate the one, and love the other; or else he will hold to the one, and despise the other. Ye cannot serve God and mammon (Matthew 6:24). Conclusion: In the post-Second–World–War West there remains only a handful of true Israelites. They can be identified by respecting two complementary rules, viz. (1) the judgement of the Orthodox Rabbis and – not or – (2) the wish to be identified as such by the individual in question. Citizens of the Western states that are not ‘Jewish’ by this twin standard, but still wish to be identified as such, are welcome to apply for the giyur, or ‘conversion’, procedure of the Orthodox Rabbis, but should be considered Gentiles by the patriotic-identitarian movement till the completion of that procedure. The patriotic-identitarian movement proceeds from the assumption that every human being should be proud of his own authentic identities, his ethnicity included: no Israelite should have to hide behind the fake identity of the secular ‘world citizen’. Such deception not only feeds outlandish ‘conspiracy theories’: it is also contrary to the self-assertive precepts of the authentic Jewish Tradition. The handful of true Israelites that remain in exile in the lands of the West after the Great Deluge of the 20th century and that have not availed themselves of the Israeli Law of Return, should be granted unconditional rights of abode and citizenship and they should be afforded the full protection of the law – a protection that is shamefully lacking in the contemporary ‘multicultural’ West. The patriotic-identitarian of the West does not view these remaining Israelites as a ‘problem’ – let alone a ‘danger’. The patriotic-identitarian movement does not fear them – and they have no need to fear it. For lack of any substantial Jewish ethnic presence in the wake of the Second World War, the ‘Jewish Question’ has effectively ceased to be relevant in contemporary Europe: the tragedy of that war has ‘solved’ it once and for all. Again, the effects of that ‘solution’ are well illustrated by the situation in the author’s native Netherlands. Even if they deviate in their particulars, the lessons of Dutch history indicate the overall patterns of Europe’s ‘Final Solution’ of the JQ – and the manner in which it has mortgaged European psycho-history. Irrespective of the individual fates of the disappeared Dutch Jews – a macabre Untergang in the ‘bloodlands’ of Eastern Europe or an arduous return to the Promised Land – the surviving Dutch Gentiles were left with a sense of helplessness and discomfort. Helplessness: in the same way that the Dutch armed forces had been unable to halt the mighty German war machine, so the Dutch civil authorities had been able to halt the ruthless German deportation mechanism. Discomfort: among the highly disciplined and law-abiding Dutch Gentiles there remained a nagging feeling of having morally failed their Jewish compatriots, for only in the ‘Good Soldier Schweyk’ Czech territories had the Holocaust machinery been more efficient than in the Netherlands. The dead of the martyred peoples of the 20th century are justified in and by their sacrifice: what is left of them, justified and ancient, is no more than a hint and a name. It is up to the living to learn from their history and to practice righteousness. This instinctive collective feeling of ‘survivor’s guilt’ fitted seamlessly into the wider panorama of the Dutch war experience, which was characterized by widespread collaboration with the occupying power, equally widespread ‘war profiteering’ and ‘black market racketeering’ and a near-universal attitude of ‘weather vane’ servility. This moral low was almost immediately followed by another when the Netherlands’ former wartime ally America blackmailed it into surrendering its 350-years-old East Indies colonial empire. At the first hints of being excluded from the ‘Marshall Plan’10 fleshpots of Egypt,11 the Dutch government abandoned the most elementary notions of responsibility, loyalty and honour towards the hundreds of thousands of its faithful subjects – Dutch and native, civilian and military – that lived in and fought for the Dutch East Indies. Queen Wilhelmina refused to preside over the shameful ceremonial abandonment East Indies debacle and abdicated. This double experience of post-Holocaust and post-colonial ‘survivor guilt’ is not limited to the Netherlands: in various forms, it affects many Western European countries. Throughout Europe, this sad historical background has effectively resulted in a series of historiographical ‘taboos’. These taboos are central to the collective ‘victim cult’ that still prevails across Europe. The moral failure and painful consciousness of individuals are experienced at a collective level, where they are projected on – abstract, unrealistic, unattainable – ‘universal values’. The collective past – history itself – becomes entirely unpalatable: a retrograde projection of self-loathing spreads out from the Holocaust and Decolonization into deeper past, into pre-modern history (‘slavery’) and finally into pre-history (‘patriarchy’). In the process, the collective (the nation) – never the ‘secular’, ‘progressive’ and ‘liberated’ individual of the ‘post-historical’ West – is held to be morally ‘liable’, historically ‘tainted’ and metaphysically ‘guilty’. The deepest and most impossible collective guilt remains conveniently reserved for the German people, the most ‘criminal people’ on Earth, but the phenomenon finally extends to the whole of Western civilization.12 In the course of the soixante-huitard slide into undiluted cultural nihilism, this psycho-historical conditioning takes on increasingly sadomasochistic characteristics. The ‘Holocaust Cult’ – deliberately exploited by the complementary phenomenon of the ‘Holocaust Industry’13 – is one of the key elements of this conditioning: it provides a convenient ‘lightning conductor’ for Europe’s psycho-historical trauma. The Holocaust Cult allows for a collective sadomasochistic projection: the archetypically ‘good’ (but passive!) Children of the Covenant are subjected to the ultimate revenge fantasies of the archetypically ‘evil’ (but active!) ‘Others’. It is a compensatory mechanism that can be understood by anybody familiar with elementary ‘Freud for Dummies’ material, but it is no less dangerous if left unchecked. Under the aegis of fully fledged cultural nihilism and postmodern globalist ‘deconstructionism’, the sado-masochistic intellectual and emotional ‘role playing’ games of the soixante-huitards are transformed into real-life exercises. Undoubtedly, this psycho-historical mechanism provides much of the impetus for the postmodern exercises in industrial ecocide (destruction of natural beauty), bio-industrial animal cruelty (destruction of natural innocence), social implosion (destruction of family life), transgender transhumanism (destruction of gender identity) and ethnic replacement (destruction of group identity). The recent resurfacing of the JQ at the ‘Alt-Right’ fringe of the patriotic-identitarian movement can be partially understood as a compensatory reaction to the Holocaust Cult, which takes centre stage in the sadomasochistic ‘deconstruction’ discourse of the hostile elite. This JQ ‘overreaction’, however, only serves to ‘feed’ the psycho-historically driven sadomasochistic mechanism: it merely reinforces the dynamic flow of sadomasochistic ‘role-playing’. Thus, the real – non-mythical, non-cultic – Holocaust of the Jewish people is reduced to a mere instrument in the ritual self-chastisement of the Western peoples. This instrumentalization not only distorts the historical record – but it also demeans the memory of the dead. The psycho-historical conditioning that accompanies the rise of cultural nihilism and universalist ‘deconstructionism’ casts an ever-deepening shadow over the post-war generations of the West. The Cultural-Marxist identity deconstruction of the ’60s and ’70s gives way to the ‘second generation trauma’ pathology of the ’80s and ’90s, only to metastasize into the militant ‘social justice warrior’ oikophobia of the ’00s and ’10s. The final destination of this psycho-historical trajectory is entirely predictable: it is the physical realization of self-mutilation and self-annihilation. The broad outlines of this final destination are becoming increasingly clear throughout the postmodern West: industrial ecocide, technological transhumanism, social implosion and ethnic replacement. These torments are clearly not inflicted on the European peoples by European Jewry: European Jewry no longer exists, it has gone up in smoke. Thus, the culturo-historical JQ should be a subject for free investigation and free discussion, but any forward projection of the JQ that goes beyond psycho-historical ‘trauma therapy’ into the realm ‘conspiracy theory’ represents an attempt at grasping the shades of a past that will not return. Many peoples have disappeared into the abyss of history; European Jewry fell into it and will not return. Wenn es dem internationalen Finanzjudentum in und ausserhalb Europas gelingen sollte, die Völker noch einmal in einen Weltkrieg zu stürzen, dann wird das Ergebnis nicht der Sieg des Judentums sein, sondern die Vernichtung der jüdische Rasse in Europa! When international finance Jewry inside and outside Europe would once more succeed in pushing the peoples [of the world] into a world war, then the result will not be the victory of Jewry, but the destruction of the Jewish race in Europe! His prediction of the final fate of European Jewry has come true. In the 1930s Hitler was still able to plausibly identify the hostile elite of his time as ‘other’ by means of a classical anti-Semitic scapegoat projection. Given the fact that there still existed a substantial Jewish presence in Europe and Germany, he could still plausibly project the (liberal-Marxist) evil of the (proto-globalist) hostile elite of his time on ‘Jews’. It should be noted that, even at that time, Hitler was already forced to use the qualifications ‘international’ and ‘finance’, emphasizing the (international) non-territorial and (finance) non-ethnic character of the hostile elite. Even at that time, the Nazi scapegoating of the Jews was far from a simple process: it had to take account of tens of thousands of ‘exceptions’, ‘exemptions’ and ‘special cases’ (e.g. Ehrenarier, or ‘Honorary Aryans’, Geltungsjude, or ‘Assumed Jews’, and Frontkämpferprivileg, or ‘Front-line Fighters’ Privilege’). After 1945, such a scapegoat projection is no longer possible: the hostile elite of contemporary Europe can no longer in any way be identified as ‘Jewish’ because European Jewry no longer exists in any substantial form. To the extent that more substantial ‘biologically Jewish’ elements remain present in the overseas Anglosphere, primarily in the United States, their overall ethnic identity has been degraded (‘diluted’ through intermarriage, ‘deconstructed’ through secularism) to the extent of rendering the term ‘Jewish’ utterly meaningless. These ‘mixed’ and ‘secular’ residues of the Chosen People may very well wish to call themselves ‘Jewish’ to claim a politically correct ‘blank cheque’ from history, but in their case the term lacks any meaningful content. Thus, as stated in the previous section, the Western patriotic-identitarian movement, is now facing an enemy that can in no way be identified as ‘Jewish’ in any meaningful sense of the word. To call the Western hostile elite ‘Jewish’ is simply an honour it does not deserve. The Western hostile elite is now clearly and totally non-territorial and non-ethnic. It is, in fact, fiercely anti-territorial (‘globalist’) and anti-ethnic (‘universalist’). The hostile elite’s stated and consistent antipathy to the Zionist-Jewish national project and Israel as a Jewish State proves the point. The Jews of Europe have vanished from history – as have the Armenians of Anatolia and the Germans across the Oder and Neisse. The dead of the martyred peoples of the 20th century are justified in and by their sacrifice: what is left of them, ‘justified and ancient’,14 is no more than ‘a hint and a name’.15 It is up to the living to learn from their history and to practice righteousness. When the Western nations, now subject to the administrative misrule, social deconstruction and ethnic replacement policies of their anti-national hostile elites, realize that they yet remain nations endowed with identities, talents and rights, then they can also decide not to disappear into the abyss of history. Guilty is only the one that is truly guilty – and nobody else. 1 The epithet ‘Israel’ contains multiple layers of meaning. Its origin is explained in Genesis 32: 24ff. 2 A ‘skewed’ reference to the title of Alexander Solzhenitsyn’s work Two Hundred Years Together, which investigates the ‘JQ’ in the Russian context. 3 ‘Liminality’ is a cultural anthropological concept developed by Arnold van Gennep (1873–1957) to describe ritual and social ambiguity. 4 As is the case in the traditionally philo-Semitic Netherlands, where giyur candidates tend to move to Belgium to apply to the more reasonably inclined Rabbis of the Jewish community in Antwerp. 5 The ‘apocryphal’ status of the latter case illustrates the mutually controversial nature of the conversion phenomenon. 6 The literal text: ‘[E]xcept for a person who has been a Jew and has voluntarily changed his religion’. 7 It should be noted that the historical Dutch elite, i.e. the elite that existed before the Machtergreifung of the soixante-huitards, consisted of two layers: (1) the nobility (which still exists as a ‘historical institution’ defined by the official Rode Boekje, ‘Red Book’, retaining its own legal statutes without prerogatives) and (2) the patricians (which is quasi-formally defined by the official Blauwe Boekje, ‘Blue Book’, registration of non-noble elite families). The former layer, which was kept very small by over two hundred years of republican rule (from 1579–1795 the Dutch Republic lacked a fons honorum) and a highly restrictive ennoblement procedure under subsequent monarchical rule, is very thin. The latter layer, which partially dates back to the semi-hereditary mercantile rulers of the Dutch Republic and which is somewhat more permeable, tends to consider itself co-equal with the nobility – a sentiment not shared by anybody else. 8 For an authentically Traditionalist Jewish perspective on the burden and predicament caused by the modernist illusion of merely ‘biological Judaism’, cf. the widely published pronouncements of Rav David Bar-Hayim of the Jerusalem Shilo Institute. E.g. his ‘Biological Jews’ interview published on YouTube, 08:40ff (‘people who are technically “Jews”, …[but] in no meaningful sense Jewish’). 9 A reference to the title of a Dutch political treatise written by Martin Bosma, second in command of Geert Wilders’ patriotic party PVV, De schijn-élite van de valsemunters (2010), made freely available by Bosma at https://gratis-boek.nl/martin-bosma-de-schijn-elite-van-de-valsemunters/ . 10 Between 1948 and 1951 Netherlands received over 1.1 billion dollars worth of material assistance from the United States, nearly as much as Italy and West Germany. 12 Cf. Wolfheze, Alba Rosa, 21ff. 13 A reference to the work of Norman Finkelstein, The Holocaust Industry: Reflections on the Exploitation of Jewish Suffering (2000). 14 From the cryptomnesia of ‘The KLF’ (1991). 15 Isaiah 56:5 – this is the etymology of the Israeli national sanctuary Yad va-Shem. 16 A quotation from Harry Mulisch’s novel De aanslag (1968), translated to English as The Assault, widely considered one of the greatest works written by the greatest post-war writer of the Netherlands. It should be noted that Mulisch (1927–2010) had a highly complex understanding of the JQ, inspired by his war-time experiences (his mother was Jewish, but survived the war in the German-occupied Netherlands because his father worked for the Nazi occupation authorities). I have great respect for Dr. Wolfheze, having recently read his THE SUNSET OF TRADITION AND THE ORIGIN OF THE GREAT WAR. I am puzzled, though, by his two-part essay on the JQ. I’ve come back to it several times, hoping to find commentary, or debate, from some of his scholarly peers, such as (secular) Dr. Kevin MacDonald and (Christian) Dr. E. Michael Jones, which might help us non-scholars better understand that what Dr. Wolfheze proposes is not a parley with the business end of Modernity, which doesn’t negotiate and takes no prisoners. Unfortunately, no such helpful exegesis has appeared so, though I worry I’ve misunderstood him, I’ll venture some comments and a few questions. There is no doubt that we are our own worst enemy, and that it is immature and delusional to place unsupportable blame for our current predicament on Jews. Is it wrong, though, to notice as so many saints and scholars have for two thousand years, that something terrible seems to arise out of Jewishness, or Judaism, with virtually every generation, accepting that the great majority of Jews don’t participate? (And recognizing that evil also arises out of us?) That “something”, which conflicts so toxically with non-Jews, is generally described as revolutionary, predatory, destructive. (Ironically, Jews sometimes call it “Tikkun Olam”…) St. Paul called Jews possessed of that spirit “displeasing to God and the enemies of all mankind.” In more recent times, just to cite one example, there is sure evidence of Jewish over-representation in Bolshevism. Yuri Slezkine wrote in THE JEWISH CENTURY of the love affair Russian Jews had with Bolshevism. He also wrote that all who embrace Modernity become like the Jews. How can we square these considerations with Dr. Wolfheze’s argument? It’s also not clear how Orthodox rabbis should be the final arbiters, for us, of who is Jewish. Terms are often entirely inadequate, but don’t we non-Jews have to go with what people call themselves – with how they self-identify ethnically &/or religiously – even if they are, from some perspectives, “heretics”? The radicalized Jews that we suffer, such as Noel Ignatiev and Barbara Lerner Spectre, may fall into St. John’s category of “those who say they are Jews but are not”…. but if they insist that they are Jews, who are we to disagree and then confuse ourselves by calling them gentiles, as Dr. Wolfheze suggests? It’s entirely just that “Guilty is only the one that is truly guilty – and nobody else.” But if, in trying to understand, we notice that a shockingly out-of-proportion number of the guilty ones have self-identified Jewish ethnicity in common, isn’t it legitimate to take that into account? How are we to heal ourselves and restore our world if we can’t see what and who opposes us ….knowing that first and foremost we should look in the mirror? The argument was made that the post-modern hostile elite cannot be predominantly Jewish because it is anti-ethnic and anti-territorial and so is “diametrically” opposed to the particularism of Jewish Tradition. Human beings, though, regularly fail to live up to stated ideals and often, from weakness, from self-deception, or from intent, act with hypocrisy. Aren’t we long aware of the Jewish revolutionary tendency to advocate for anti-ethnic and anti-territorial policies in host countries and for the world at large, but not for political Israel? Revolutionary activity by “those who say they are Jews but are not” has been anti-ethnic, anti-territorial, and anti-Tradition. 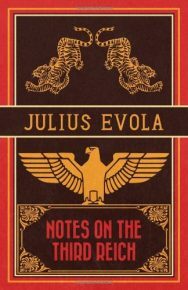 While it may be true that most of the hostile elite are not ethnically Jewish, isn’t it (as evidence of influence) undeniable that Jewish interests are a top priority for the hostile elite, and that the Jewish revolutionary spirit is powerful among them as they seek to build a very Jewish globe-straddling “Kingdom of This World”? Also, the argument was made that, post WW2, there are so few Jews physically present in Europe that the JQ has ceased to be relevant, and so Jews can’t be blamed for European troubles. But can’t troubles be caused by influence and power projection, with little (or no) physical presence required? Agents of the American Empire are physically scarce in Europe and the rest of the world, and yet exert tremendous influence via primarily economic power, but also via media power and the expert seductions of decadent culture, backed by the threat of “regime change” black ops and even military action. And the most powerful special interest group by far, clearly influencing (or dominating) The Empire’s aggressive foreign policy, is Jewish. So, to the degree that The Empire meddles in Europe – for example in Serbia and Georgia, and most especially in Ukraine under the generalship of Victoria “F the EU” Nuland – how can Jews be entirely let off the hook? This posting is more than long enough. I will respectfully sign off now and hope for clarifications. It would be great if you sent Dr. Wolfheze’s essay to the aforementioned Drs MacDonald and Jones, but maybe also to Dr. Andrew Joyce, Kerry Bolton, and Mark Brahmin. As best I am able to tell, Dr. Woflheze’s scholarly argument stands in stark contrast to their scholarly conclusions, so they might offer interesting responses on this difficult and uncomfortable subject as we all seek common ground. Thank you for your patience. Dear Mr Chandler, thank you for your extensive commentary and for the opportunity to address some of your legitimate questions – and to clear up some possible misunderstandings. Your puzzlement is also legitimate – what is asked of the reader is nothing less than a re-thinking of the entire (vexing, tedious, obnoxious) ‘JQ’. Before responding to some of your points I would like you – and any readers that follow this obscure discussion on the finer points of the Archaeo-Futurist ‘JQ’ – to make a thought experiment. It is this: imagine that my ‘scholarly argument’ does not stand ‘in start contrast to the ‘scholarly conclusions’ of the authorities that you mentioned (and that I also recognize as such). To imagine that they are, in fact, complementary might not be an easy exercise – especially given the urgent need to face our enemy instead of merely unmasking him. But this is exactly what is now required of our movement: a radical re-thinking that allows for a synthesis of historical analysis (in casu: ‘old-fashioned’ Anti-Semitic historiography), modern science (in casu: Professor MacDonald’s bio-evolutionary groups strategies) and Archaeo-Futurist hermeneutics (in casu: my Traditionalist de-deconstruction). (1) Is it wrong to notice… (a) that something terrible arises out of Jewishness, or Judaism, …and (b) that recognizing that evil also arises out of us? – In a sense, (a) and (b) cancel out each other: neither the Jews, nor Gentiles, are evil in an absolute sense – the two parties are merely different in such an essential way that there were, are and will be many circumstances in which they experience each other as evil – and as enemies. MacDonald has extensively analyzed the group-evolutionary adaptive strategies – and the bio-evolutionary ‘arms race’ – from which these experiences arise. The ‘universalist’ and ‘cosmopolitan’ discourses of Modernity tend to ignore, discount and gloss over such enmities and the animosities they instil – the Archaeo-Futurist strategy that is here proposed is to do the opposite: to value and to maintain them at all cost. In the same way that the wolf, the magnificent but fearsome top predator of the pre-Modern boreal habitat of Western man, is slowly staging a comeback in our natural world, so we should allow the notion of true alien-ness to make a comeback in our cultural world. Concretely: to allow ourselves to view the Jewish Tradition as alien – and therefore also potentially dangerous (the work of MacDonald is invaluable in this regard). But this should not distract us from something more urgent, viz. the task of fighting our own hostile elite. This elite welcomes any identification that our movement makes between it and the Israelite nation, because this allows it to gain a ‘moral immunity’ (a ‘blank cheque from history’) that it simply does not deserve. The Western elite is now overwhelmingly made up of (ex-)‘Gentiles’: it overwhelmingly consists of ‘internationalized’ and ‘cosmopolitan’ Western bankers and businessmen, deranged and deluded Western intelligentsia, and oikophobic and masochistic Western feminists. It is currently expanding to include many ‘deserving’ non-Western but equally Gentile elements – upstart ‘investors’, drug barons, ‘pop culture’ idols – from among its ‘diversity’ pets: the masses non-Western ‘Gentile’ immigrants that have flooded our homelands in the last decades. Whereas the remnant of the Jewish people in the West is merely alien and potentially hostile, the current Western elite is not only home-bred, but actually hostile. This evil must be seen for what it is and fought as such – as a cancerous growth within the diseased body of Western civilization. This is an evil that has arisen out of us. (2) …all who embrace Modernity become like the Jews. – I did not (yet) read Slezkine’s work, so, although the in-depth look at the Jewish role in the great tragedies of 20th Century Europe that his work promises is entirely legitimate, I cannot comment on any of his specific theses. Taken as it stands, however, this general statement is entirely incompatible with my Traditionalist definition of ‘Modernity’ (elaborated in my work ‘Sunset’) – and with the definition given by the overwhelming majority of thinkers that belong(ed) to the Traditional School. The problem lies in the definition of ‘Jew’ – and here Traditionalism has a clear verdict: it defines a ‘Jew’ as somebody who is formally part of the Jewish community, as defined by the guardians of the Jewish Tradition, and embodies the Jewish Tradition in a recognizable manner. The Jewish Tradition is entirely incompatible with Modernity. (3) …if… we notice that shockingly out-of-proportion number of guilty ones have self-identified Jewish ethnicity in common, isn’t it legitimate to take that into account? – This out-of-proportion representation of ‘Jews’ in some former (‘Soviet’) and some contemporary (‘American’) ‘hostile elites’ is only a tenable statement if mere ‘biological’ providence is sufficient to define a ‘Jew’. The ‘Jews’ within these hostile elites, however, either explicitly reject(ed) their potential (inherited) Jewish identity or deliberately distort(ed) it beyond actual (historical) recognition. From a Traditionalist perspective, this precludes their identification as ‘Jewish’ in any meaningful sense of the word. In fact, membership of any Modernist hostile elite is incompatible with authentic Jewish identity: such membership requires the acceptance, defence and promotion of ‘secular’ (historical-materialist) views and ‘deconstructive’ (socio-economic) programs that are incompatible with the religious prescripts and the moral guidelines of the Jewish Tradition. To the extent that the biological remnants of the Jewish people maintain their allegiance to the Jewish Tradition till today, they are characterized by a self-imposed ‘orthoprax’ segregation that precludes any substantial participation in Western political, social and cultural life. ‘Biological Jews’ that do participate in the hostile elite are ipso facto traitors to their Tradition: they have literally put themselves ‘beyond the pale’. Whenever they perversely attempt a ‘cultural appropriation’ of the Jewish Tradition, they should not be rewarded – the patriotic-identitarian movement should do the same what Orthodox Rabbi’s do: put a healthy distance between these ‘biological Jewish’ traitors and authentic Jewish Tradition – their attempt at gaining psycho-historical ‘immunity’ should be exposed for what it is: a transparent fraud. (4) …help us… better understand that what Dr. Wolfheze proposes is not a parley with the business end of Modernity… – A close reading of my work will quickly dispel the notion that a parley with Modernity is a viable option at any level. 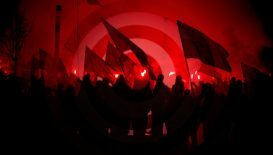 If the Western peoples are to survive and thrive they will have to incorporate, digest, overcome and surpass Modernity in all its manifold consequences: this is the philosophical essence of the Archaeo-Futurist Revolution – and the metapolitical task of the patriotic-identitarian movement. A correct positioning with regard to the ‘JQ’ is of great importance, because it will allow us to focus on the real enemy: our very own hostile elite. My proposition is to focus on its function in the here and now. This means: to detach the hostile elite, once and for all, from any claims (such as it once had, now wishes to have, is wishfully thought to have) to ‘Jewishness’. 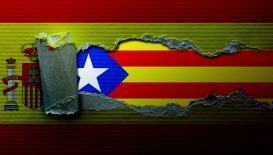 It should be seen for what it now is: non-territorial, non-ethnic, anti-territorial and anti-ethnic – a clear and imminent danger to the survival of the Western peoples. It should never be parleyed with – it should be destroyed root and branch. As a historical force in Western society, it should be destroyed irrespective of the ‘ex-ethnic’ provenance of its members, whether they be 99%, 50% or 1% ‘ex-Jewish’ or ‘ex-Gentile’. Dr. Wolfheze, thank you for taking the time to reply to my inquiry, and for helping me to understand that the Traditionalist, Archaeo-Futurist viewpoint on the JQ complements viewpoints that were more familiar to me. 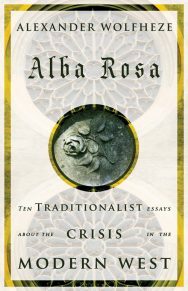 By the way, I began reading ALBA ROSA several days ago and have found it a well-written and insightful analysis of our crisis. I will recommend it to others. Best wishes for your work. The actions being taken against us are unfolding in the physical world, and sooner or later, this is where they must be counteracted.